It's all organizing and packing over here... I'm trying not to get overwhelmed by the crazy everywhere! 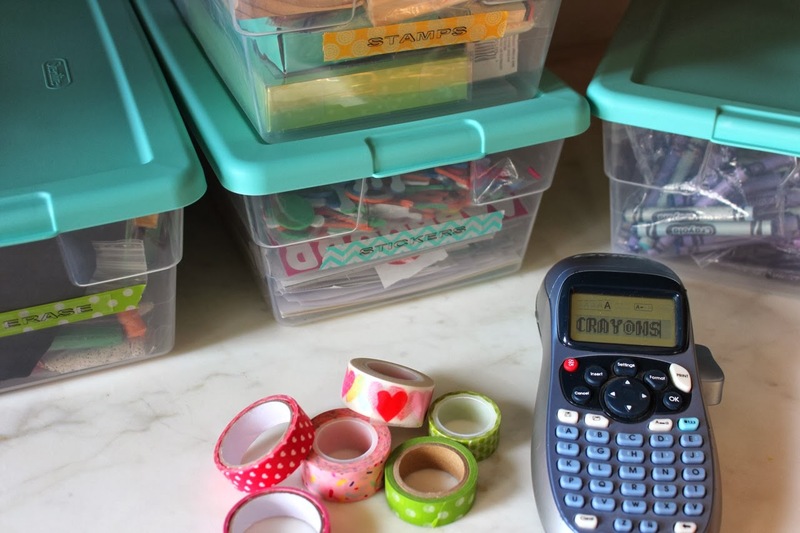 These washi tape labels are making organizing just a little bit more fun! 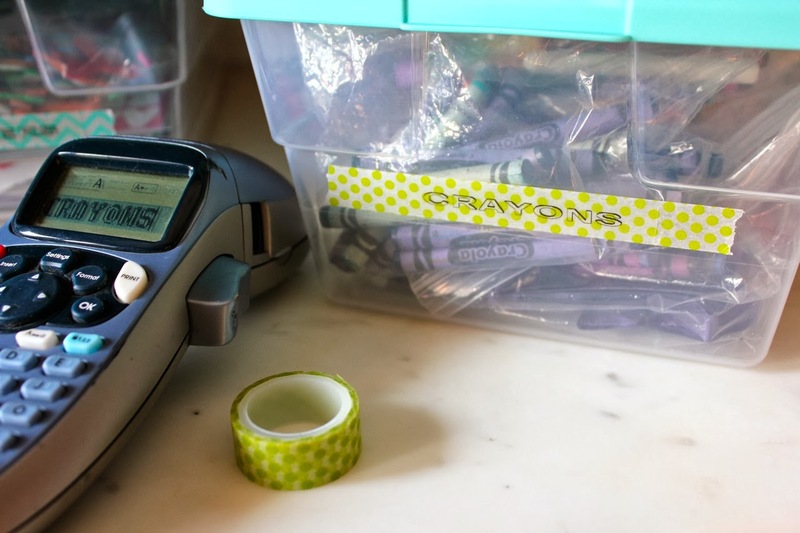 I had been pining for this Washi Tape Label Maker but it is a bit spendy and requires specialized washi tape. We already had this Dymo label maker so I decided to make due with what I already have! Bonus, this way I can use up some of my ridiculous washi tape (obsession) collection! Alrighty! It's back to packing for me!